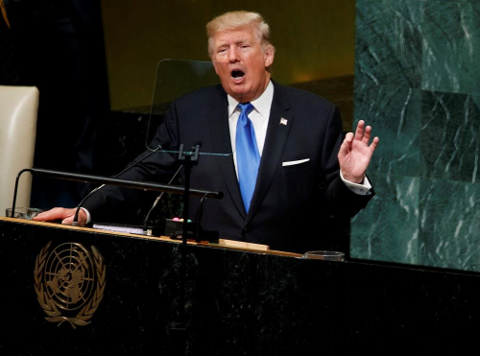 At U.N. General Assembly, on Tuesday September 19, President Trump delivered an empty threat to ‘totally destroy’ North Korea. 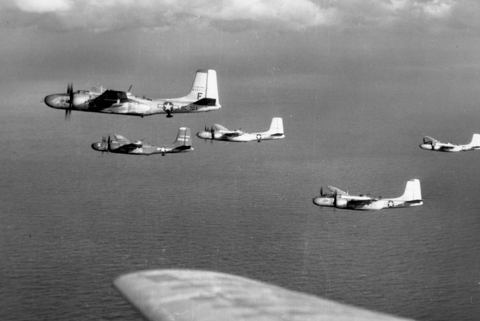 United States tried twice in the past to destroy Korea and Vietnam on the battlefield. US failed in 1953 and 1975 for Korea and Vietnam are not the "Real Enemy." 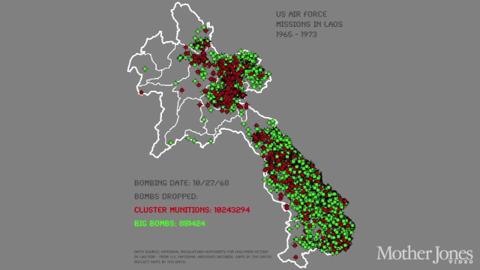 Korea and Vietnam survived the US bombing campaigns for they have the support of Communists. I ask President Trump to Just Say "NO" to Communism, the "Real Enemy," to Win ‘The Cold War in Asia’. UNITED NATIONS — U.S. President Donald Trump said on Tuesday that the United States will be forced to "totally destroy" North Korea unless Pyongyang backs down from its nuclear challenge, mocking North Korean leader Kim Jong Un as a "rocket man" on a suicide mission. 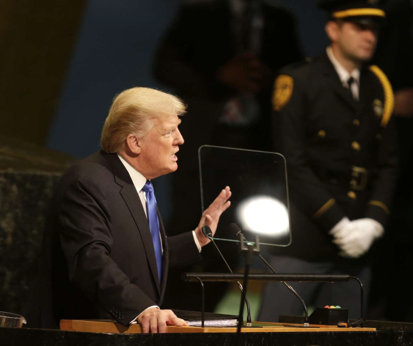 Loud murmurs filled the green-marbled U.N. General Assembly hall when Trump issued his sternest warning yet to North Korea, whose ballistic missile launches and nuclear tests have rattled the globe. Unless North Korea backs down, he said, "We will have no choice but to totally destroy North Korea." North Korea’s mission to the United Nations did not immediately respond to a request for comment on Trump’s remarks. A junior North Korean diplomat remained in the delegation’s front-row seat for Trump’s speech, the North Korean U.N. mission said. He also criticized the Cuban government. But his strongest words were directed at North Korea. He urged United Nations member states to work together to isolate the Kim government until it ceases its "hostile" behavior. He said North Korea’s pursuit of nuclear weapons and ballistic missiles "threatens the entire world with unthinkable cost of human life." In what may have been a veiled prod at China, the North’s major trading partner, Trump said: "It is an outrage that some nations would not only trade with such a regime but would arm, supply and financially support a country that imperils the world with nuclear conflict." "I don’t think you’ve heard the last of it," he said. He called Iran an "economically depleted rogue state" that exports violence. The speech marked his latest attempt to lay out his America First vision for a U.S. foreign policy aimed at downgrading global bureaucracies, basing alliances on shared interests, and steering Washington away from nation-building exercises abroad. "I will defend America’s interests above all else," he said. "But in fulfilling our obligations to other nations we also realize it’s in everyone’s interest to seek a future where all nations can be sovereign, prosperous and secure." Reading carefully from a script, Trump said the U.S. military would soon be the strongest it has ever been. Turning to Venezuela, Trump called the collapsing situation there "completely unacceptable" and said the United States cannot stand by and watch. He warned the United States was considering what further actions it can take. "We cannot stand by and watch," he said. Shortly before Trump’s speech, U.N. Secretary-General Antonio Guterres appealed from the General Assembly lectern for statesmanship to avoid war with North Korea. "This is the time for statesmanship," said the former prime minister of Portugal. "We must not sleepwalk our way into war.." The U.N. Security Council has unanimously imposed nine rounds of sanctions on North Korea since 2006 and Guterres appealed for the 15-member body to maintain its unity on North Korea. Trump has warned North Korea that military action was an option for the United States as Pyongyang has carried out a series of tests toward developing the ability to target the United States with a nuclear-tipped missile. Financial markets showed little reaction to Trump’s speech, with most major assets hovering near the unchanged mark on the day.